1. To make the mayonnaise beat the egg using a blender, then pour the oil very slowly and continue beating until it is incorporated and the mayonnaise is smooth and thick. Add all other ingredients and lightly beat to incorporate. 2. Peel the cucumbers then cut them into 8 pieces, each 3cm long. Cut out the middle to make cylinders so that the width of cylinder walls are about 2mm. 3. Finely dice the crab meat (or process) and mix in about 2-3 tablespoons of the prepared wasabi mayonnaise. 4. Cut the salmon fillet into 8 strip, about 4cm long and 1cm wide. 5. 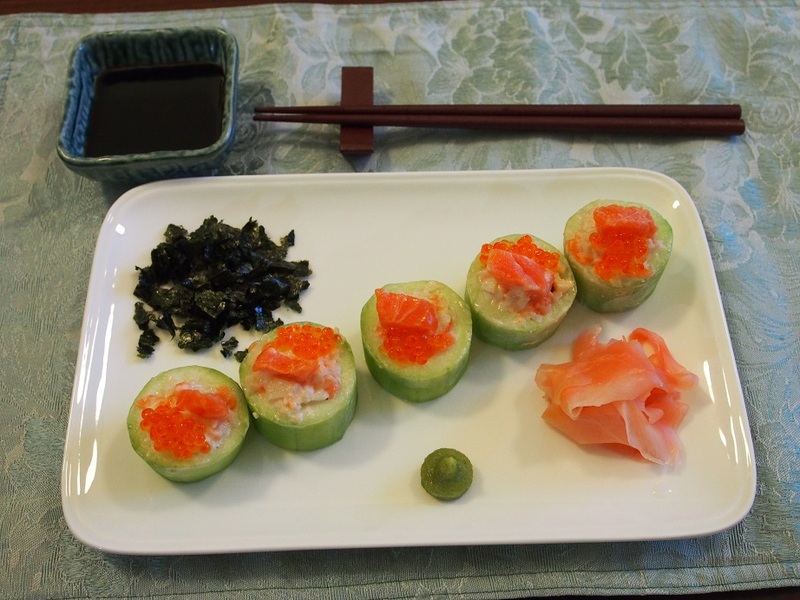 Insert salmon strip in the middle of the cucumber cylinder and fill in the gap with the crab mix. Press firmly. 6. 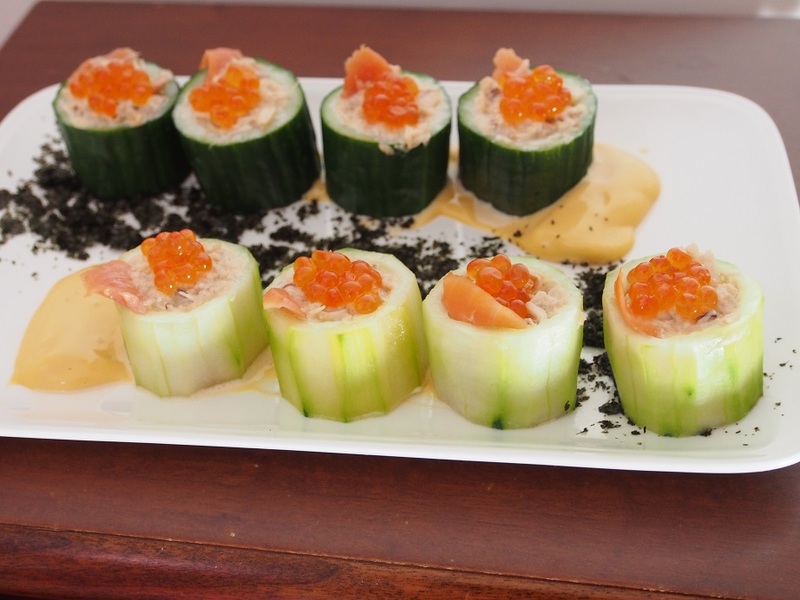 Decorate each sushi with caviar. Crush the seaweed and serve on a side.